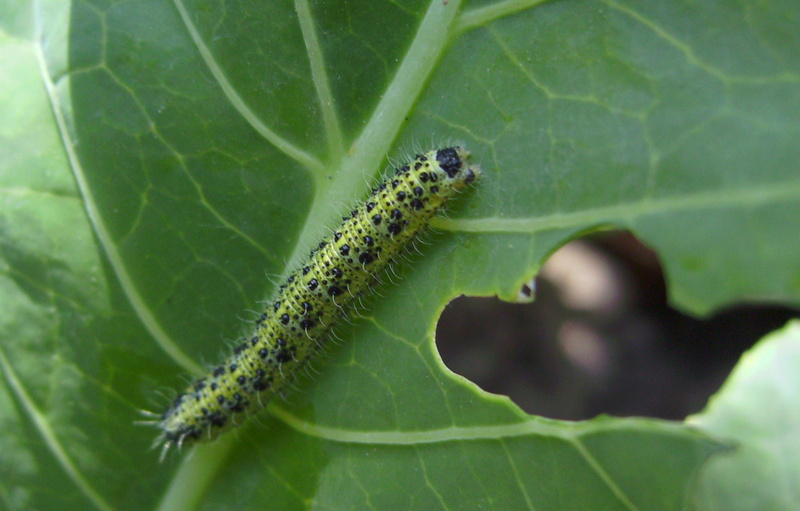 Caterpillars can wreak havoc on brassica crops, and as growers begin to put their brassicas and cool-season crops in the ground, it is important to have a strategic management plan in place to control these pests. Ayanava Majumdar, entomologist for the Alabama Cooperative Extension System, offers some management strategies that he has tested in Alabama, which small-scale growers can implement on their farms. 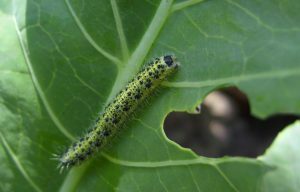 According to Majumdar, common species of caterpillars include ear armyworms, diamondback moths, cabbage loopers, cabbage white butterflies and cross-striped cabbageworms. Majumdar says these species can feed together and totally devastate a crop. Majumdar reminds growers that caterpillars come from moths. So, when thinking about control options, growers should think about how to stop moths from laying eggs in the systems. Majumdar recommends some sort of pest exclusion system. He says this can work really well on smaller-scale farms. Pest exclusion systems can be relatively low-cost. With the use of a lightweight fabric, moths can be locked out of a production system, preventing them from laying eggs. Most of the fabrics can be purchased online. Majumdar says based on his studies, this practice can highly reduce caterpillar populations. As far as microbial insecticides, Majumdar suggests starting with a Bacillus thuringiensis (Bt) formulation such as DiPel or XenTari. He warns growers that Bt insecticides are living insecticides, so they cannot be handled like normal chemicals. Growers must mix the Bt formulations fresh, and the spray solutions should not be stored for several days. The original Bt formulation containers should be kept away from heat, which includes sunlight. Majumdar says that spinosad-containing insecticides can be effective on caterpillars, but a little costly. He warns growers to watch out for insecticide resistance. 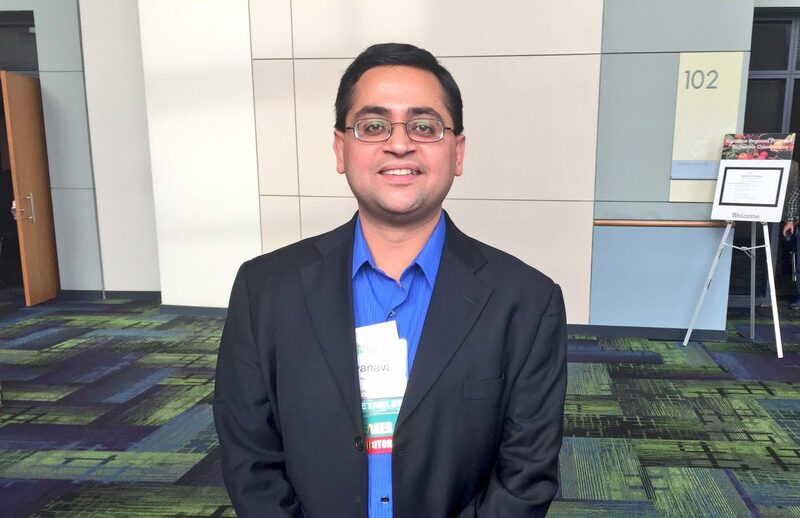 “In many parts of the Southeast, there are insect populations that are tolerant or resistant to spinosad materials, so be aware of that,” Majumdar explains. When treating brassica crops, Majumdar says it is much easier to spray when the plants are small and the leaves are upright. The insecticide needs to reach the underside of the leaf, because that is where most of the caterpillars will be. Majumdar adds that growers should spray only if populations of caterpillars are spotted. If they spray continuously, beneficials like lady beetles and lacewing larvae can be affected. Majumdar reminds growers to use a sticker to help wet leaves in order to better retain the insecticide. “If you’re spraying cabbages without a sticker, the spray solution simply balls up and falls off the plant. To avoid that, add a sticker, and that helps tremendously,” he says. He also advises growers to pay close attention to their equipment and to spray in the evening hours. The yellowmargined leaf beetle is another insect growers should be watching for. The management options Majumdar has offered can also be used with yellowmargined leaf beetle. If growers have any questions, they should reach out to their local county Extension offices. Once the Extension agents have identified an insect, they can help figure out which management option will be best for a farm.